Notes: Born in Cumberland County, Va., October 26, 1846. 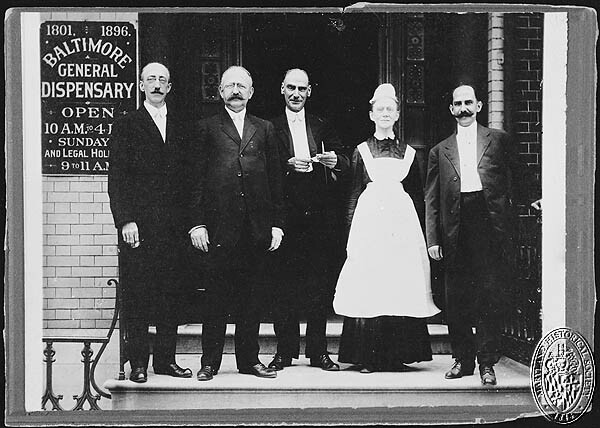 Educated at the University of Virginia; M.D., Washington University, Baltimore, 1872; Resident Physician, Bayview Hospital, 1872-73; Resident Physician, Washington University Hospital, 1873-76; Vaccine Physician, 1874-75; Demonstrator of Anatomy, Washington University, Baltimore, 1873-76; Visiting Physician, Bayview Hospital, 1876-83; Physician to Boys’ Home; Consulting Physician, Hospital for Consumptives; Medical Examiner, Royal Arcanum, etc. 809 North Charles Street, Baltimore. Notes: Died, Baltimore City, Oct. 2, 1914, age 70?